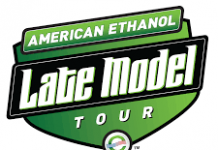 CONCORD, N.C. — The World of Outlaws Craftsman Late Model Series will visit 36 tracks in 16 states for 47 events next year, including nine new tracks. 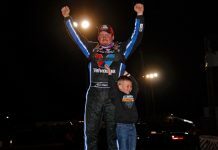 The season kicks off on Feb. 8-9 with the Winter Freeze IX at the Screven Motorsports Complex for a two-night show in Sylvania, Ga., before heading down to Volusia Speedway Park in Barberville, Fla., for the 48th annual DIRTcar Nationals, Feb. 13-16. 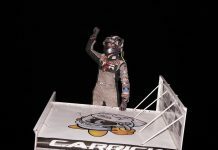 Four straight nights of racing alongside the Super DIRTcar Series will showcase a 50-lap, $10,000-to-win feature event each night, with each driver’s best two finishes being counted towards their season points total. 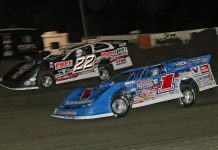 From Florida, the series invades Tennessee, where it will compete March 8 at Duck River Raceway Park in Lewisburg, Tenn., for the first time since 2017 followed by the Tennessee Tipoff at Smoky Mountain Speedway on March 9. 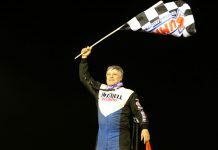 Following the Illini 100 in April, the month of May features seven race nights, with the Outlaws visiting Muskingum County Speedway for the first time since 2010, where 2007 series champion Steve Francis picked up the win. 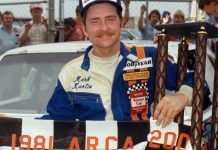 Then, fast forward to the end of May and the Series caps off the month at a track never before visited by the Outlaws – Cochran Motor Speedway in Cochran, Ga. 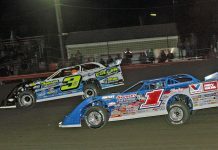 The new track trend continues the very next night, June 1 at Lancaster Speedway in Lancaster, S.C. June features six race nights, including the three-day, $30,000-to-win Firecracker and the third consecutive year where the Outlaws will take on the Summer Nationals stars at Terre Haute Action Track and Federated Auto Parts Raceway @ I-55. 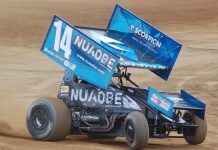 An 11-race month of July, highlighted by the Prairie Dirt Classic, kicks off Independence Day weekend on July 5 at Independence Motor Speedway in Independence, Iowa. 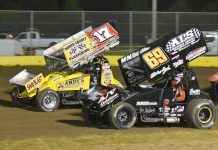 The month will also feature two tracks new to the series in Wisconsin – July 9 at ABC Raceway in Ashland, Wis., and July 14 at Red Cedar Speedway in Menomonie, Wis.
August features nine race nights, beginning with the $50,000-to-win USA Nationals at Cedar Lake Speedway in New Richmond, Wis., and finishes out with visits to I-96 Speedway in Lake Odessa, Mich., for the first time since 2014, and Sharon Speedway for the inaugural Battle at the Border in Hartford, Ohio. 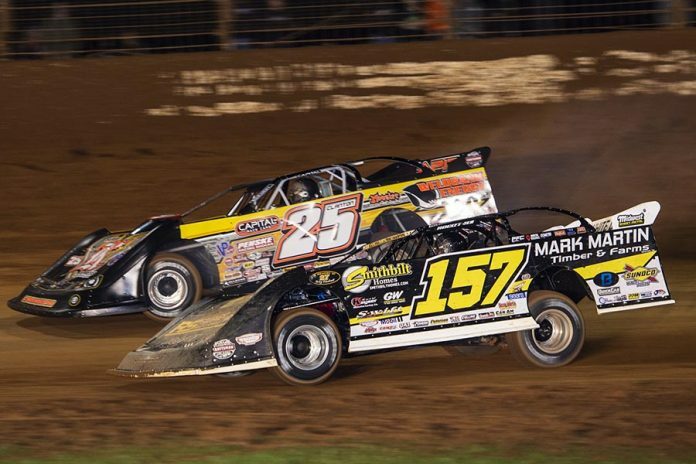 After this final Midwest swing, the stretch run to the championship winds through New York, Pennsylvania, South Carolina and Tennessee before concluding with the World of Outlaws World Finals presented by Can-Am championship weekend at The Dirt Track at Charlotte. 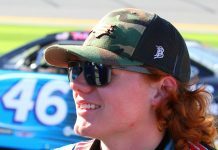 Feb. 8-9 – Screven Motor Speedway – Sylvania, Ga.
Feb. 13-16 – Volusia Speedway Park – Barberville, Fla.
March 8 – Duck River Raceway Park – Lewisburg, Tenn.
March 9 – Smoky Mountain Speedway – Maryville, Tenn.
April 5-6 – Farmer City Raceway – Farmer City, Ill.
May 3 – Cherokee Speedway – Gaffney, S.C.
May 4 – Lavonia Speedway – Lavonia, Ga.
May 10-11 – Fayetteville Motor Speedway – Fayetteville, N.C.
May 31 – Cochran Motor Speedway – Cochran, Ga.
June 1 – Lancaster Speedway – Lancaster, S.C.
June 20-22 – Lernerville Speedway – Sarver, Pa.
June 28 – Terre Haute Action Track – Terre Haute, Ind. June 29 – Federated Auto Parts Raceway at I-55 – Pevely, Mo. 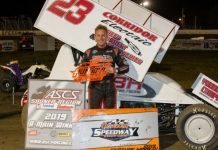 July 6 – Deer Creek Speedway – Spring Valley, Minn.
July 9 – ABC Raceway – Ashland, Wis.
July 12 – River Cities Speedway – Grand Forks, N.D.
July 13 – Ogilvie Speedway – Ogilvie, Minn.
July 14 – Red Cedar Speedway – Menomonie, Wis.
July 26-27 – Fairbury American Legion Speedway – Fairbury, Ill.
July 29 – Plymouth Speedway – Plymouth, Wis.
July 30 – Shawano Speedway – Shawano, Wis.
Aug. 1-3 – Cedar Lake Speedway – New Richmond, Wis.
Aug. 16 – Williams Grove Speedway – Mechanicsburg, Pa.
Aug. 17 – Port Royal Speedway – Port Royal, Pa.
Aug. 18 – Eriez Speedway – Erie, Pa.
Aug. 29 – I-96 Speedway – Lake Odessa, Mich.
Sept. 19 – Stateline Speedway – Jamestown, N.Y.
Sept. 20 – Outlaw Speedway – Dundee, N.Y.
Sept. 21 – Selinsgrove Speedway – Selinsgrove, Pa.
Oct. 4 – Cherokee Speedway – Gaffney, S.C.
Oct. 5 – 411 Motor Speedway – Seymour, Tenn.